Vilamoura, a Portuguese town in the Algarve region, less than ten kilometers from Faro, is a modern tourist resort famous for its marina that can accommodate over a thousand boats. 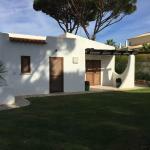 Vilamoura offers visitors many possibilities for leisure, entertainment and sports. 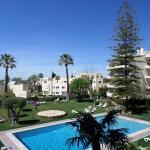 Vilamoura is now one of the most famous and important tourist destinations of Europe. Vilamoura has never been an old town or a fishing port, as it was built from scratch since the 70s. Everything here revolves around mid to high level tourism. In Vilamoura, everything is possible: golf, horse riding, a bet a the casino, water sports, but also walks through the Roman ruins of Cerro da Vila with the archaeological museum. 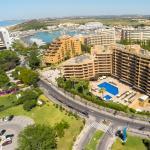 The resort of Vilamoura attracts millions of tourists throughout the year thanks to its mild weather in both autumn and winter. In the harbor area and downtown there are many bars and restaurants available to tourists - who can find accommodation in Vilamoura’s hotels. 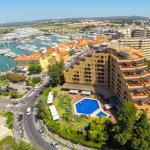 Nearby Vilamoura there are Faro, another important town of the Algarve, and several resort areas and popular beaches, such as Praia dos Tomates, Praia da Rocha Baixinha, Praia da Falèsia. The sea of Vilamoura and its beaches Leste and Oeste have received for many years, the blue flag quality certification. Vilamoura is famous for its numerous golf courses, including the Quinta do Vale Golf Resort, Oceânico Millennium, Oceânico the Old Course.